Wind Faire (Vytilla, off NH47 byepass): A single block (G+19 floors) with five apartments in each floor (95 apartments total) on 1.61 acres of land. They are all 3BHK units with square footage between 2008sft and 2260sft. The apartments offer sweeping views of Chilavanoor Backwaters and takes after their previous project, Heera Waters. Amenities include club house, swimming pool with party area, gym, children's park, air-conditioned lobby, etc. 10/2012 Update: The Base Selling Price (BSP) is set at Rs 4150psft with car parking (Rs 3L) and other charges additional - that is quite a premium compared to the Rs 2200psft that their previous project was launched at, a few years ago. 10/2015 Update: The project is nearing completion and there is very limited availability. Current Status: The project is delayed with construction progressing at a slow pace. Very Limited Availability. Purva Oceana (Marine Drive): A large single block of 95 3BHK apartments with eight different plans facing the Arabian and Bolgatty Palace on 1.24 acres. Four of the larger plans (upwards of 3000sft) offer waterfront balconies. Square footage varies between 2536sft and 3417sft. Amenities include terrace pool, billiards, gym, steam and sauna, landscaped garden, jacuzzi, jogging path, etc. 2013 Update: Pricing starts at Rs 4000psft and goes up to a whopping Rs 8500psft for the ones on the higher floors with the best views. 10/2015 Update: Construction is in full-swing and there is limited availability. Price has gone up to a base selling price between Rs 6,495 psft and Rs 9,995 psft (all inclusive). Current Status: The project is complete. There is very limited availability. Purva Grand Bay (Marine Drive): 265 three-bedroom units on 2.65 acres ranging in square footage between 1885 sft and 1933 sft located a little further up from their Oceana project. There are six blocks (B+G+14). 10/2015 Update: The base selling price is set at Rs 6,440 psft. Current Status: The project is complete. There is limited availability. Note: They have a huge new project in Marine Drive called Marina One coming up in a whopping 16.7 acres of prime waterfront land. It is a joint project with Sobha. Dewa Pier20 (Marine Drive): Seven huge blocks with 605 apartments that cover a total built-up area of 1.5 million sft in Phase I. The blocks offer a large number of two, three, four, five BHK and duplex units that vary in square footage between 1200sft and 5150sft. Some of the first floor apartments have a private garden. The blocks are on the other side of the road and so cannot be considered a true waterfront property although the views are still very good. Amenities include family pool, 50M lap pool, kid's pool, wading pool, water walk, party area, decks, amphitheater, etc. Current Status: The project is delayed (frames of some towers are up). There is availability. 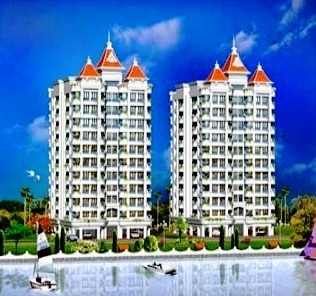 Tritvam (Marine Drive): Six towers on 8.44 acres of prime property located between the backwaters and Mangalavanam bird sanctuary (near Highcourt) at Marine Drive. Towers 3 & 4 are currently open for sale. The project is in its very early stages and is a maiden project of Tata Realty and Infrastructure Limited in the area. The towers offer 3 BHK units with square footage between 2268sft and 2185sft. The Base Selling Price is set at Rs 5850psft and applies to units that do not have Preferred Location Charges (PRC - for view). The pricing goes all the way up to Rs 9075psft for a unit that has a direct view of the backwaters. Floor Rice Charges also apply and that is set at Rs 50 per floor after second floor. 10/2015 Update: Tower 5 is currently in pre-launch. A sixth tower called iconic tower with duplex apartments was announced as well. Current Status: The project is almost complete and occupation certificate is obtained. Limited Availability. JKH Signature (Alwaye): Ultra Luxury four and five BHK units on the Periyar riverfront from 2924sft to a whopping 10,000sft for a penthouse. Location is by the side of Perumbavoor bus-route, a popular spot with several other river-front projects. Ultra luxury features include centralized hybrid air-conditioning with room controls, infinity pool, video phone security, sky squash, roof top multigym, lawn tennis, etc. 10/2015 Update: Construction in full-swing - frame is up - limited availability. Current Status: The project is delayed. Limited Availability. Nautica (Cheppanam, Panangad): Sixty apartments on twin-18-floor towers in a prime waterfront two-acre location on Vembanad Lake at Panangad (near sailing club house). Square footage varies between 2500 and 4100 and prelaunch pricing (03/2013) is set at at Rs 5000psft. Amenities include leisure club, games room, pool table, half basketball court, muti-purpose gym, yoga area, steam and sauna, swimming pool, theatre, rooftop party area, etc.06/2013 Update: Asten Mather has a Periyar River Front project called Cocoon which features a distinct "villament" concept. The project is on 4.5 acres at Mudikkal (Alwaye-Perumbavoor route), 15 minutes drive from Alwaye. It is designed by nature lover and architect Mr. Sanjay Mohe - The design highlight of the property is the terraced design with each level unfolding beneath the other with sweeping views from the natural hillock on to the adjacent river. Pricing is at Rs 5500 psft. 10/2015 Update: The projects are delayed. Construction in full-swing on the Nautica project but the Cocoon project did not take off. Limited availability. Current Status: Delayed - the 2nd tower in Nautica is still in pre-launch - pricing up to Rs 7Kpsft but they are taking only 5% upfront now. Blue Waters (Panangad): Blue Waters is a super-luxury project (Rs 8000 psft - very limited availability) nearing completion. 4/2014 Update: "The Dominion", an apartment project opposite Lakeshore Hospital on NH-byepass road is announced and is priced at Rs 5000 psft during the pre-launch period till May 10, 2014. After that, pricing is scheduled to increase to Rs 5500 psft. 10/2015 Update: The ultra luxury project got a huge boost recently when Sachin Tendulkur purchased one of the few independent homes in the project. "The Dominion" project is delayed and is still in pre-launch phase. Current Status: No further updates on "The Dominion" project and it is not even listed in their upcoming projects. Periyar Winds (off. Alwaye-Perumbavoor Road): 51 three-bedroom units (1555 sft and 1585 sft) on 53 cents of prime periyar waterfront land. 10/2015 Update: The project is in early launch phase. There is availability and pricing starts at Rs 58.5L. Current Status: Construction started with frames up till level-5. There is availability. River Valley (Tripunitura): 62 three-and-two bedroom units on 74 cents of Kaniyampuzha River waterfront land. 10/2015 Update: The project is nearing completion and there is very limited availability. Current Status: The project is complete - very limited availability. Asset Homes Silver Swan & Silver Streak (Alwaye): Silver Swan is a single block (G+16 floors) of 73 apartments with two and three BHK units that vary in square footage between 1200sft and 2150sft and six different plans. The Base Selling Price (BSP) is set at Rs 3750psft with a floor rise charge (FRC) of Rs 20 per floor. It is a Periyar river-front property located off the NH47 Highway next to Uliyanoor Bridge. Amenities include raised swimming pool overlooking river Periyar, gym, children's play area, clubhouse facing river Periyar, river-side party zone, angling point, etc.Silver Streak is another Asset waterfront single block apartment in Alwaye. Pricing for both start in the Rs 45L range. Scheduled completion is set for March 2014 and April 2014 respectively. 05/2013 Update: Pricing for Silver Swan has increased from Rs 3750psft Base Selling Price (BSP) to Rs 4000psft to be effective May 15, 2013. Final Update - 2015: The projects are complete. Sahara Grace (Chittethukara, Seaport-Airport Road): 944 two, three, and four BHK apartments and penthouses on 14.71 acres of land across 14 towers. The project is on the banks of Chitrapuzha river and the clubhouse has the best views. Square footage varies between 1200sft and 2500sft with the Base Selling Price (BSP) set at Rs 3000psft. The first two blocks (B1 and B2) are nearing completion while the recently launched A3 block is projected to complete by 2015. There is availability in all three launched towers. Amenities include swimming pool, health club with ayurvedic massage parlor, sauna, jacuzzi, gym), party lawn, billiards, snooker, table tennis, guest rooms, kids' play area, artificial lake, gazebo, jogging track, etc. Infrastructure facilities include piped cooking gas supply, helipad, substation, RO plant, CCTV, boom barrier, main gate and boundary wall security, etc. Final Update - 2015: Not much progress - the first two blocks are nearing completion - no ETA on when the project will complete. 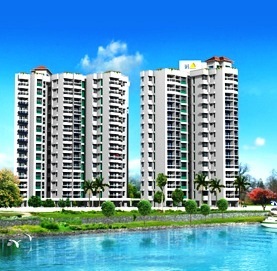 Skyline Riverville (Alwaye): Around 60 three BHK units that vary in square footage between 1574sft and 2249sft. The project location is ~6KM from Alwaye by the Perumbavoor transport-bus route. The concept is similar to their completed project called Riverscape further up on the same route. The launch price is set at Rs 2990psft and Rs 3190psft for the smaller and larger units respectively - the larger units have better views of the Periyar river although all apartments have waterfront views from the balconies. Amenities include raised swimming pool with excellent views of the river, children's play area, landscaped garden, gym, and clubhouse. Final Update - 2015: The project is complete. SFS Aqua Greens (Alwaye): Couple of large blocks with six different plans, some facing river Periyar. The location is on the Kalady road from NH47 at Desam Junction. Plans vary in square footage between 1209 sft and 1646 sft. Amenities include large swimming pool, clubhouse opening to the pool, gym, children's play area, garbage chute, incinerator, generator backup, etc. Final Update - 2015: The project is complete. DLF Riverside (Vytilla): A large set of blocks on 5.12 acres on Chilavanoor riverfront with two, three, four BHK apartments along with larger duplexes (total units - 185). There are five different plans and the square footage varies between 2000sft for a 2BHK unit to 5600sft for a 4BHK Duplex unit. The Base Selling Price (BSP) is set at Rs 4750psft and there is Preferred Location Charge (PLC) for waterfront apartments at Rs 475psft for single apartments and Rs 575psft for duplexes. Amenities include clubhouse, swimming pool, landscaped garden, jogging track, party hall, yoga plaza, river decks, tennis court, boat jetty, and resting pavilions. Final Update - 2015: The project is complete but is in a regulatory cloud - Kerala government recently (June 2014) cancelled the environmental clearance for this previously approved project and in December 2014, the high court of Kerala ordered that the building be demolished. Shwas Aqua City (Alwaye): A large waterfront city in the banks of river Periyar with around twelve different blocks and villas on 17 acres of riverfront property. It is located off Parur Kavala on NH47 after UC college. Amenities include clubhouse, gym, swimming pool, kid's pool, aquarium, riverside boat house restaurant, riverside walkways, boat club with pedal boats, jogging track, etc. Final Update - 2015: The project status is still listed as "nearing completion". The project is delayed several years and there are many customer complaints. Jewel River Woods (Alwaye): An apartment block on 60 cents of land (G+14) in the heart of Alwaye town (near private bus stand) located by the side of river Periyar with four units per floor. Square footage of the units vary between 1645sft and 1775sft. There are four plans of which two are water facing. The apartments are competitively priced at Rs 2900 to Rs 3100psft for town-facing apartments and Rs 3000psft to 3200psft for water-facing apartments, depending on floor. Amenities include gym, party area, children's play area, riverview point with park benches, generator backup, reticulated gas supply, RO plant, sewage treatment plant, etc. Final Update - 2015: The project is complete and sold-out. Galaxy Winston (Kadavanthra): This is part of a twin project that also include Galaxy Kingston. The towers have 13 floors and face Chilavanoor river and is located at Chilavannoor road. There are two main plans with square footage at 1026sft for the 2BHK units and 1490sft for the 3BHK units. Amenities include gym, clubhouse, centralized gas supply, swimming pool, motor boat, mini auditorium, elevated river-view point, etc. Final Update - 2015: Both projects are complete. National Puzhayoram (Alwaye): Sixty apartments in a single block just 100 meters from NH47 right after Maglapuzha bridge. They offer two basic plans with 1910sft for the 3BHK plan and 2490sft for the 4BHK plan. Pricing is set at Rs 3600psft with Rs 25 per floor Floor Rise Charges (FRC). Amenities include swimming pool, gym, party hall, children's play area reticulated gas connection, etc. Final Update - 2015: The project is ready-to-occupy. Extremely limited availability. 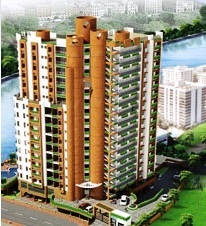 Chakolas Habitat Bayside (Thevara): Large 4BHK units (3690sft) in a single block on Thevara waterfront. Amenities include clubhouse, infinity pool, jacuzzi, sauna, steam room, landscaped waterfront garden, squash court, pool table, table tennis, and terrace garden. They also have a single-tower waterview project in Edakochi. Final Update - 2015: The projects were originally set to complete in 2012 and are delayed significantly. Construction is almost complete. Holiday Group Baycastle (Marine Drive): A large single block with three and four BHK units on ten floors with first two floors of commercial space. The project offers four plans that vary in square footage between 1810sft and 2080sft. Amenities include swimming pool, kid's pool, jacuzzi, sauna, children's play area, clubhouse, gym, generator backup with apartment coverage at 2000 watts, etc. Final Update - 2015: The project is delayed slightly and is nearing completion. Dream Flower CLAIRE (Thevara): Small 12-apartment tower on 14 cents of land on the Thevara waterfront, just 1.5KM from MG Road. The units have an area between 1085 and 1160 square feet and are priced in the Rs 50L to Rs 55L range (all inclusive but excludes registration). The project was launched on 09/2012 and has a completion target of 02/2014. Final Update - 2015: The project is complete. Waterfront Flats/Apartments in Greater Kochi Area - Review. Greater Kochi Villa Projects Review. Kakkanad Flats (Condos) - Shopping Experience. CREDAI Kochi Real Estate Property Expo 2010 - A Report.